Although more research is needed, preliminary studies have shown that regular coffee consumption can lead to a reduce risk of oral cancer. Numerous studies have been performed in the past to try to pinpoint the exact health benefits of coffee, and researchers have found that the good stuff in coffee is not related to its caffeine content but rather all the rich polyphenols and antioxidants that are known to prevent cellular damage in the human body. The study which was published in the American Journal of Epidemiology examined over 960,000 people. This group of men and women were asked various questions about their lifestyle habits, including coffee consumption. At the beginning of the study, none of the participants had cancer, but in the years since, 868 participants have died as a result of oral cancer, which includes either mouth cancer or throat cancer. After the data was analyzed, it was found that people who said that they drank four or more cups of coffee a day had a 49% reduced risk of dying from oral cancer compared to people who said they did not drink coffee as regularly. More solid research will need to be gathered before scientists can definitely say that coffee helps prevent oral cancer, but all signs point to the fact that drinking coffee can have several health benefits. 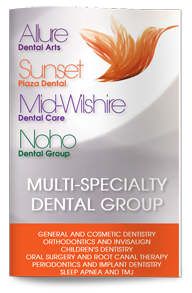 If you have any questions pertaining to your oral health, feel free to talk to our West Hollywood dentists.